Focusing on tasks and results helps you and your team accomplish goals, solve problems, plan projects, innovate, maintain productivity, and make fast decisions. However, much of today’s work spans organizations and locations, so relationship-oriented skills that create a collaborative atmosphere, such as solving interpersonal conflict, keeping team members engaged, fostering teamwork, and maintaining a trustworthy environment are critical. 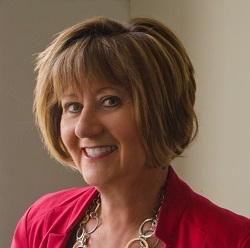 My name is Paula Potter and I have a passion for helping leaders improve their relationship-oriented skills. I call this “balancing smart with heart”. Each of us is on a unique journey in this life. Through sharing what I have learned in over 40+ years in leadership positions, we will create a life where the journey is easier and more fulfilling. We relate through how we lead. We lead through how we relate. The two are intimately connected. And this is the essence of relational leadership. P.S. I would love to hear from you. I invite you to come back here regularly and read my posts. Also, please connect with me on social media.